postorbital processes, and the tarsometatarsus is very short as in the extant taxon Eurystomus (Coraciidae). A number of plesiomorphic characteristics clearly distinguish Eocoracias from crown group rollers (Mayr and Mourer-Chauviré 2000). Some of the specimens exhibit excellent feather preservation, which shows that the short wings and the long and graduated tail of E. brachyptera resembled the feathering of the Brachypteraciidae, whereas the wing of the Coraciidae is more elongated and the tail more or less deeply forked. Outgroup comparisons with E. brachyptera thus suggest that the feathering of the Brachypteraciidae, which is suitable for agile maneuvering in a forested environment, is plesiomorphic for extant rollers. The elongated wing and forked tail of the Coraciidae are derived features, which allow a more rapid flight in the open habitats of true rollers (Mayr and Mourer-Chauvire 2000). 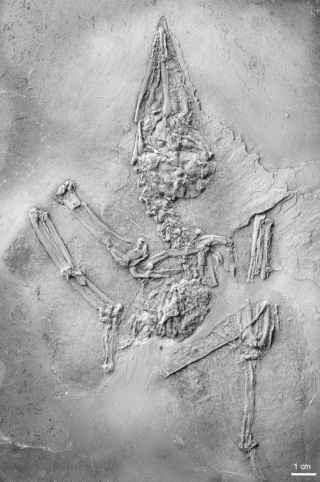 The Geranopteridae occur in the late Eocene of the Quercy fissure fillings, where they are represented by Geranopterus alatus Milne-Edwards, 1892, the smaller G. milneedwardsi Mayr and Mourer-Chauvire, 2000, and an unnamed species (Mayr and Mourer-Chauvire 2000; Mourer-Chauvire and Sige 2006). Most major postcranial bones of G. alatus are known, and Mayr and Mourer-Chauvire (2000) also referred a partial skull to this species. The latter specimen shows that the postorbital process exhibits a small cranial projection, which is absent in Eocoracias but also occurs in extant Coraciidae and Brachypteraciidae. The car-pometacarpus of Geranopterus further shares with that of the extant taxa the derived presence of a small intermetacarpal process, which is absent in the Primobucconidae and Eocoraciidae. 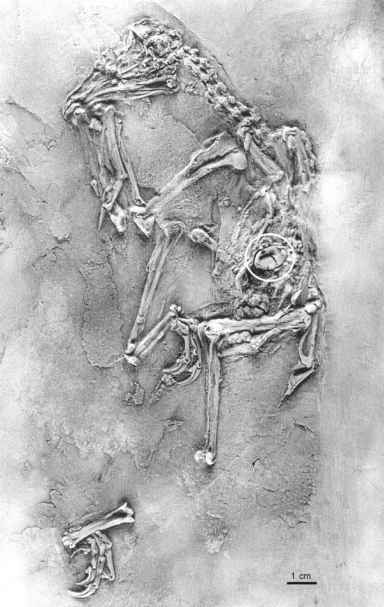 Cryptornis antiquus (Gervais, 1852), which is based on a largely complete but very poorly preserved skeleton from the late Eocene of the Paris Gypsum in France, appears to be closely related to, or even conspecific with, G. alatus (Mayr and Mourer-Chauvire 2000).